These Prices are effective as of January 1, 2019, but thereafter are subject to change without notice. 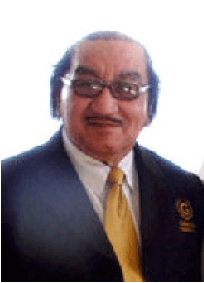 Mr. John E. Beckwith Sr. is the visionary behind Beckwith Golden Gate Funeral Home. John founded Golden Gate with the idea of giving comfort and personal services to families during a difficult and uncertain time. Today, along with his family, he is proud to continue this tradition of delivering caring, personal and professional services at affordable prices. Mr. Beckwith was born August 27, 1942 in Gilbert, Louisiana. Many who know him say that he was born with the desire and dream of owning a funeral home and helping others. Mr. Beckwith began his destiny in the funeral business at the early age of 14. Living in a rural area in Louisiana was not a hindrance for Mr. Beckwith, he was so determined that he would walk several miles and hitchhike to local funeral homes to learn the business. With the help of friends and local funeral home owners in Louisiana he began as a Carwash Attendant and Ambulance Driver. Because of his passion, desire and hard work he was promoted to General Manager. Mr. Beckwith not only had a desire and dream of owning a funeral home, he was an advocate of Civil Rights while in Louisiana, in this struggle for freedom and equal rights Mr. Beckwith lost many friends. His dream of owning a funeral home was intensified with the loss of his friends in the Civil Rights struggle. Mr. Beckwith realized why the passion and desire of owning a funeral home was so deeply rooted in his spirit; it was his destiny to provide families with quality and affordable funeral services. His desires, passions and dreams led him to Dallas, TX where on September 15, 1980 all of Mr. Beckwith’s hard work came to pass . . . John E. Beckwith Sr.’s destiny was fulfilled in Waxahachie, TX where he established the first Golden Gate Funeral Home. Mr. Beckwith’s dream was to own “A” funeral home, but God’s plans were greater than his. With the Grace and Blessings of God, Mr. Beckwith opened a second location in Dallas, TX in 1985, known today as the corporate location and a third location in Lancaster, TX in 1999. Mr. Beckwith was extremely proud and honored when God again extended his favor to him and blessed him with a funeral home in his home state of Louisiana. Beckwith Golden Gate Funeral Home was established in Tallulah, LA on July 19, 2001 and is one of the fastest growing African American Funeral Homes in North Louisiana. The goods and services shown below are those we can provide to our customers. You may choose only those items you desire. However, any funeral arrangements you select will include a charge for our basic services and overhead, if legal or other requirements mean you must buy any items you did not specifically ask for, we will explain the reason in writing on the statement we provide describing the funeral goods and services you selected. The fee for our basic services and overhead will be added to the total cost of the funeral arrangements you select. (This fee is already included in our charges for direct cremations, immediate burials and forwarding or receiving remains). 1. Reconstructive restoration ........................................................................................... $75.00 per hr. A complete price list will be provided at the funeral home. In most areas of the country, state or local law does not require that you buy a container to surround the casket in the grave. However, many cemeteries require that you have such a container so that the grave will not sink in. Either a grave liner or a burial vault will satisfy these requirements. 3. Immediate Burial: Our charge of an immediate burial, without any attendant rites of ceremonies, includes removal and shelter of remains, local transportation, to the cemetery, basic services of funeral directors & staff, dressing and casketing remains. Warranties: The only warranties, express or implied granted in connection with the goods sold with this funeral service are the express written warranties, if any, extended by the manufacturers thereof. No other warranties and not warranties of merchantability or fitness for a particular purpose are extended by seller. These prices are effective as of March 18, 2017, but thereafter are subject to change without notice. You may choose only the item you desire. If you are charged for items you did not specially request, we will explain the reason for the charge on the written memorandum. Please note that there may be charges for items such as cemetery fees and newspaper notices. In most areas of the country, state, or local, law does not require that you buy a container to surround the casket in the grave. However, many cemeteries require that you have such a container so the grave will not sink in. Either a grave liner or a burial will satisfy those requirements. Professional services includes – Funeral Director and staff, embalming, dressing and casketing, wake or visitation, funeral services at church or chapel, transferring your love one to the funeral home, use of hearse for funeral service. $10,995.00 + tax – Professional Service – Stainless Steel & 18 gauge premium casket: Casket spray, custom register book, two Limousine's, 200 two fold color programs, two death certificates, thank you cards and two memorial DVD's. $8,995.00 + tax – Professional Service – 18 gauge casket: Casket spray, custom register book, one Limousine, 200 two fold color programs, two death certificates, thank you cards, two memorial DVD's. $7,995.00 + tax – Professional Service – Premium 20 Gauge Casket: Casket spray, custom register book, one Limousine, 200 two fold color programs, one death certificate, thank you cards and one memorial DVD. $6,495.00 + tax – Professional Service – 20 Gauge Casket: Casket spray, 200 two fold color programs, register book, thank you cards, Limousine, two death certificate and memorial DVD. $5,495.00 + tax – Professional Service – 20 Gauge Casket: Casket spray, register book, thank you cards, Limousine, 200 color standard programs, one death certificate, and memorial DVD. $1,995.00 + tax – (Preparation of Remains for other establishment) basic Funeral Director and Staff, embalming, transfer loved one to funeral home, use of hearse for transportation.